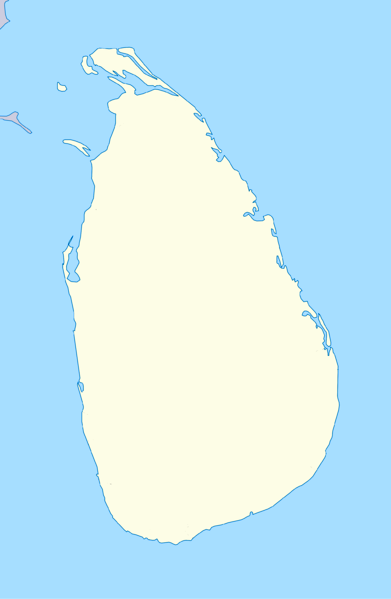 a few days from now is my schedule for days off from work here in the gulf and i will be flying straight to new delhi coming from bahrain. i have included in my bucket list for the year (see 10 things i have not done before, 2012) a visit to india particularly, the famous tourist circuit, the golden triangle. 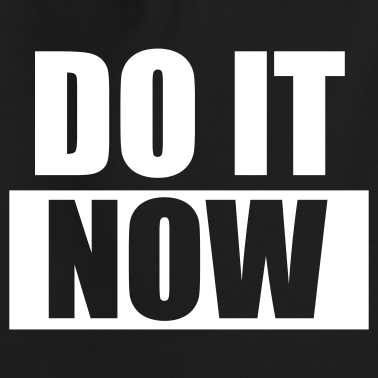 i am glad that i will be able to do this – as the scottish philanthropist thomas guthrie quoted . . “do it now”. the golden triangle covers three interesting cities of india which consists of delhi the national capital, jaipur the pink city, and agra, where taj mahal is located. 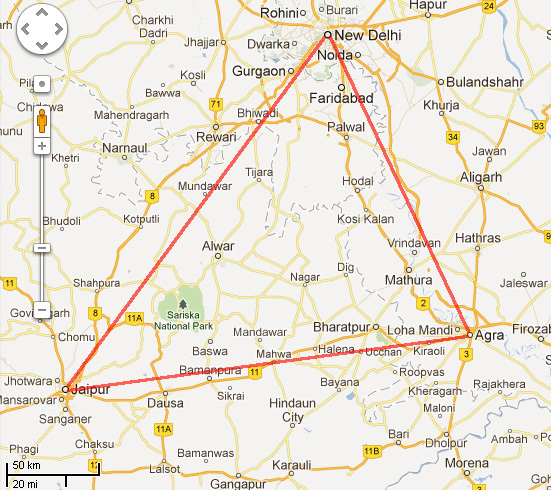 my plan is to spend 8 days to visit these three cities: first stop is delhi then travel to jaipur by plane. after three days return to delhi then travel to agra by train, and after three days again return back to delhi. 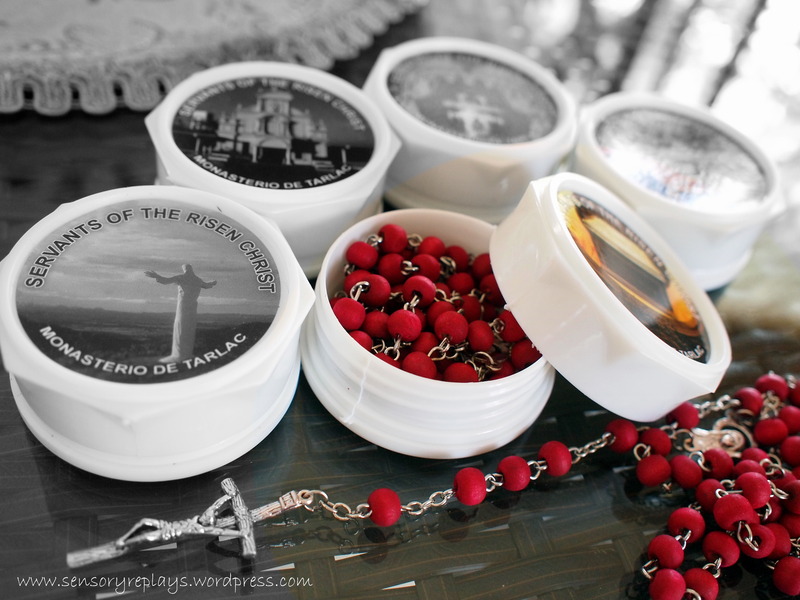 i noticed i get a lot of views from my posts about the monastery (monasterio de tarlac, revisiting the monastery) and some might be checking out the schedule of masses for the holy week. 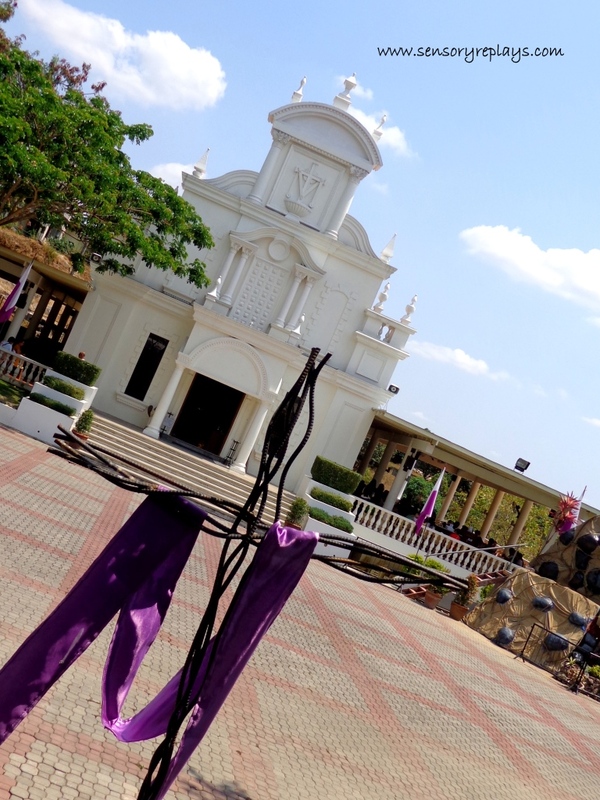 i revisited the monasterio last month and was able to take note of their activities for this lenten season which can be of use for those devotees planning to visit the place. 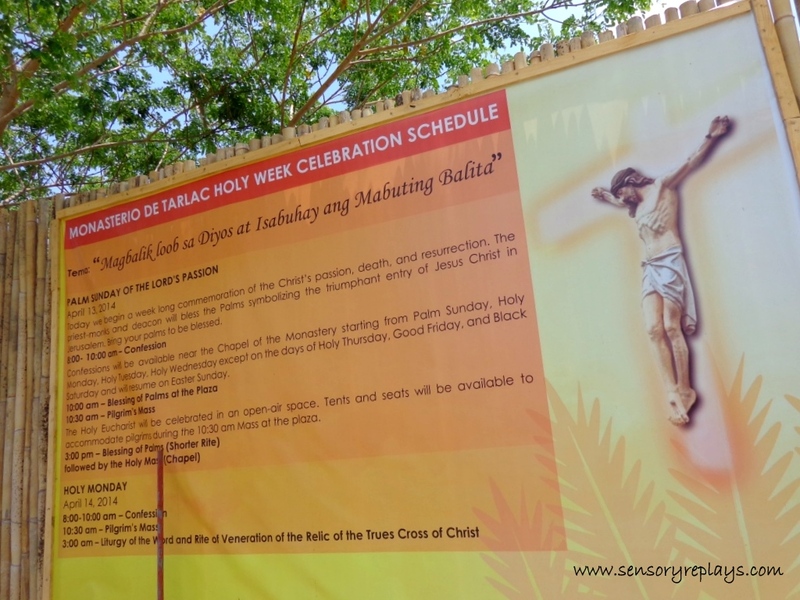 10:00: Blessing of palms at the Resurrection Garden; 10:15: Commemoration of Christ’ triumphant entry to Jerusalem (Procession from the Garden of Ressurection to the Plaza); 10:30: Holy Mass at Monasterio Plaza; 15:00: Blessing of Palms (Shorter Rite), Holy Mass and Veneration of the Holy Cross. 05:00: Penitential Rosary Procession; 06:00: Community Mass; 10:30: Pilgrim’s Mass; 15:00: Liturgy of the Word and Rite of the Veneration of the Holy Cross. 07:00: Liturgy of the Word and Rite of Veneration of the Relic of the Holy Cross (Scheduled as follows 07:00, 08:30, then every hour to 15:30); 16:30: Mass of the Lord’s Supper; 18:00: Paschal Triduum. 07:00: Via Crucis, Veneration of the Relic of the Holy Cross; 15:30: Celebration of the Lord’s Passion and Veneration of the Cross. 07:00: Rite of Veneration of the Relic of the Holy Cross (Scheduled as follows 07:00, 08:30, then every hour to 17:30); 19:00: Easter Vigil (Blessing of Light, Liturgy of the Word, Blessing of the Baptismal Water / Baptism and the Holy Eucharist). 10:30: Open-Air Mass at Monasterio Plaza and Veneration of the Relic; 15:00: Holy Mass at the Chapel. i just woke up this morning and thought of posting a contest for my blog. 😉 if you are thinking that it’s my blog anniversary, well it’s not. sensoryreplays is going to be three years old this coming may and this giveaway is just a teaser, lol! the contest is simple to be able to join and win a cool prize. 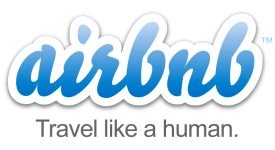 you just have to post any topic in your blog (a recent travel, a restaurant review, etc.) that will include the words (emphasized in the body of your post) – seen, heard, smelt, felt, tasted which is what my blog is about.. easy huh?! 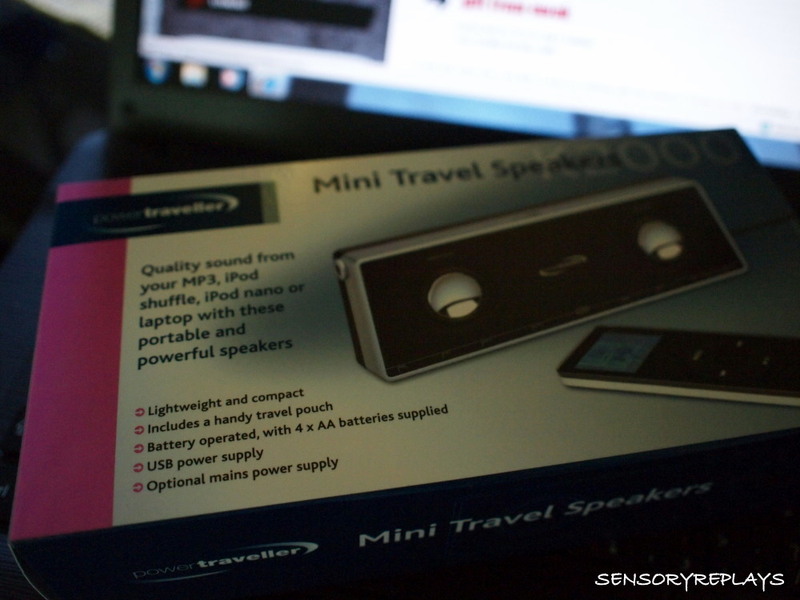 this is what the winner, on whom i will personally choose, will get..
it is a mini travel speakers from powertraveller (brand new, bought from dubai duty free)! 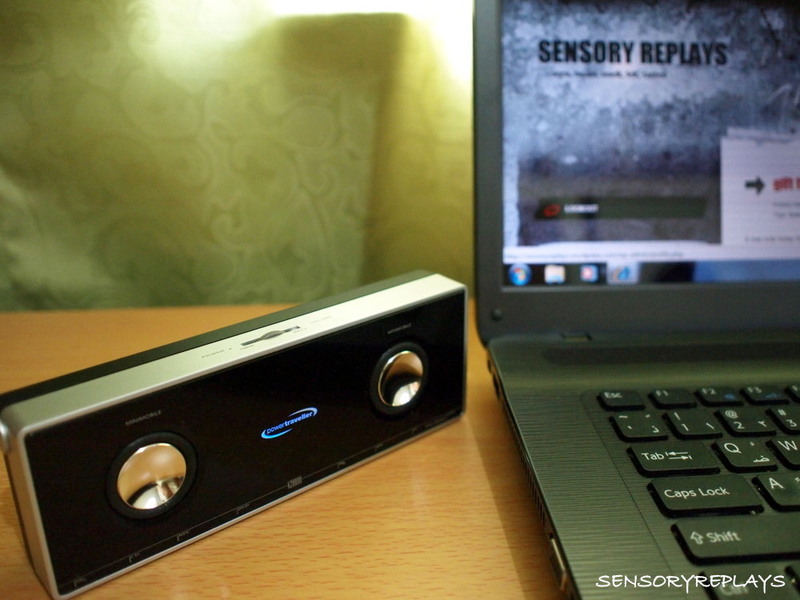 get superb sound from these mini lightweight speakers. slim and portable they are ideal for travel and using with digital music players. the black acrylic face is both attractive and hard-wearing and can be protected with the handy travel pouch. a 3-way power system allows you to operate the speakers by battery (approximately 10 hours continual play), mains power supply or USB. 4xAA batteries and a USB cable are supplied so you can simply plug and play. for use with all ipods, mp3 players, dvd and psp’s, portable cd players and laptops. any blogger with a philippines address can join and must link this post in his/her entry, or comment below with the link so i will know that you joined. 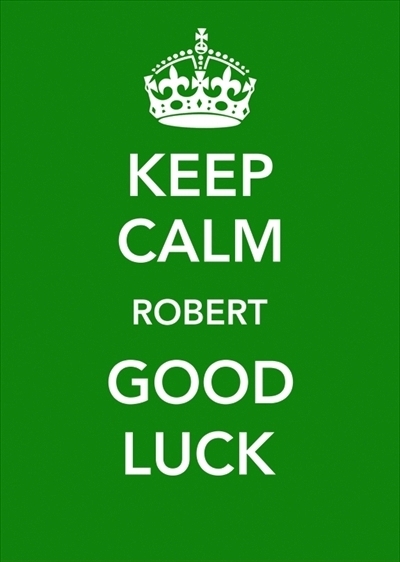 you must have posted your entry before friday, 18 march. winner will be announced the next day. it’s either i will send thru courier the prize or meet with the winner personally (if both our schedule permits! ).